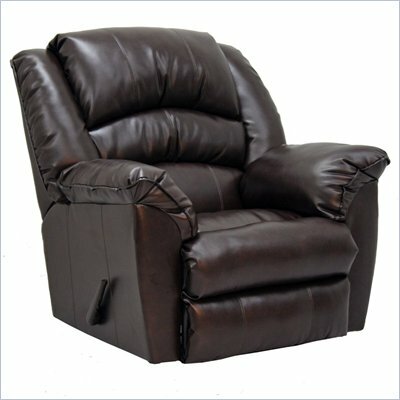 Hope's Cafe: Lean Back and Relax in a New Recliner!! Of course, I also have a weakness for leather-whether it's jackets, boots, purses or furniture-so leather recliners would be a sure fit for my living room. I absolutely love the dark leather look! And this recliner looks sooo comfortable! 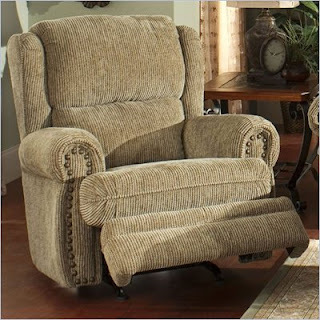 Can't you just imagine taking a little nap in this chair one evening after a family game of kickball?! Of course, maybe you prefer a lighter look in your living room. I prefer dark furniture with lighter drapes and accessories, (probably comes from being raised in a family with a lot of children-dark furniture doesn't show stains!) but I must admit, these recliners in khaki have me rethinking my likes! This one looks extremely modern and comfortable! 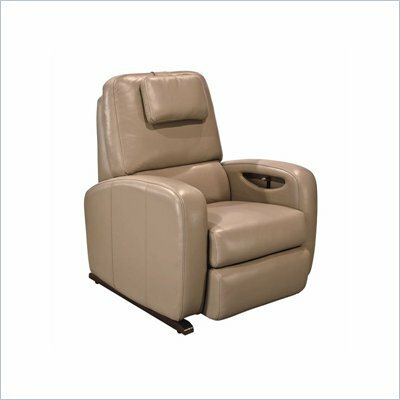 Disclaimer: I have not received product from Recliner Select. All thoughts and opinions are mine.